Associate Professor Gail Robinson has been a clinical neuropsychologist and researcher for ~20 years in Australia and in London (UK), where she spent 14 years at the dynamic and historic National Hospital of Neurology and Neurosurgery, Queen Square, London. In 2010, she transitioned from a clinical role to an academic position at The University of Queensland where she has been director of the Clinical Neuropsychology Doctoral programme (2010-2017). Her clinical research is focused on both theoretical questions about brain-behaviour relationships like the crucial mechanisms for the executive control of language, and clinical questions regarding cognitive assessment and management of various pathologies including neurodegenerative disorders, neurodevelopmental disorders, brain tumours and stroke. 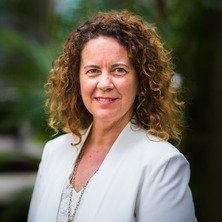 Associate Professor Robinson has attracted internal and national funding; at present she Leads the Neuropsychology Core of a large-scale longitudinal and multidisciplinary NHMRC Dementia Team Research grant (Prospective Imaging Study of Ageing: Genes, Brain and Behaviour [PISA]: $6.5 million; 2015-2021). She was the recipient of an ARC Discovery Early Career Researcher Award (DECRA) in 2012 and she is currently the recipient of a NHMRC Boosting Dementia Research Leadership Fellowship, during which she will focus on early neurocognitive diagnostic indicators for dementia (2018-2021). Journal Article: Verbal suppression and strategy use: a role for the right lateral prefrontal cortex? Journal Article: Cognitive screening in brain tumours: short but sensitive enough? Journal Article: Dynamic aphasia: An inability to select between competing verbal responses? Verbal suppression and strategy use: a role for the right lateral prefrontal cortex? Cognitive screening in brain tumours: short but sensitive enough? Dynamic aphasia: An inability to select between competing verbal responses? Robinson, Gail and Weekes, Brendan (2008). Rehabilitation in clinical neuropsychology. In Graham C. L. Davey (Ed. ), Clinical psychology (pp. 207-228) London , U.K.: Hodder Education. Guy, Sarah, Clarke, Linsey, Bryant, Helena, Robinson, Gail, Stewart, Trudy and Segaran, Ella (2004). An interdisciplinary approach to acute stroke rehabilitation. In Nick Losseff (Ed. ), Neurological Rehabilitaiton of Stroke (pp. 26-56) London, United Kingdom: Taylor & Francis. Psychological management of stroke by N.B. Lincoln, I.I. Kneebone, J.A.B. Macniven and R.C. Morris. Robinson, G., Rossor, M. N. and Cipolotti, L. (2002) Preservation of verb naming in severe Alzheimer’s Disease. Dementia Reviews, 4 18-19. Baird, Amee and Robinson, Gail (2012). Dissociation between words and number words: a case study of traumatic brain injury. In: Conference Program and Abstracts of the 9th Annual Conference of the Special Interest Group in Neuropsychological Rehabilitation of the World Federation for NeuroRehabilitation (WFNR). 9th Annual Conference of the Special Interest Group in Neuropsychological Rehabilitation of the World Federation for NeuroRehabilitation (WFNR), Bergen, Norway, (149-149). 2-3 July 2012. What can we learn about personal relevance from a naming treatment in mild Semantic Dementia? Robinson, G. (2009). What can we learn about personal relevance from a naming treatment in mild Semantic Dementia?. In: Abstracts of the 6th Symposium on Neuropsychological Rehabilitation. 6th Satellite Symposium on Neuropsychological Rehabilitation, Tallinn, Estonia, (215-215). 3-4 August 2009. Robinson, G. and Weekes, B. (1995). Subtypes of developmental dysgraphia. In: John Fourez and Noele Page, Treatment Issues and Long Term Outcomes: Proceedings of the 18th Annual Brain Impairment Conference. ASSBI 1994: 18th Annual Brain Impairment Conference, Hobart , TAS, Australia, (43-51). November, 1994. Weekes, B. S., Thomas, S. J. and Robinson, G. E. (1994). Constraining models of naming: evidence from anomia. In: Catherine Haslam, J. Ewing, U. Johns and B. S. Weekes, Cognitive Functioning In Health, Disease and Disorder: Proceedings of the 17th Annual Brain Impairment Conference. ASSBI 1993: 17th Annual Brain Impairment Conference, Canberra, ACT, Australia, (91-97). August, 1993.